This is absolutely endless! 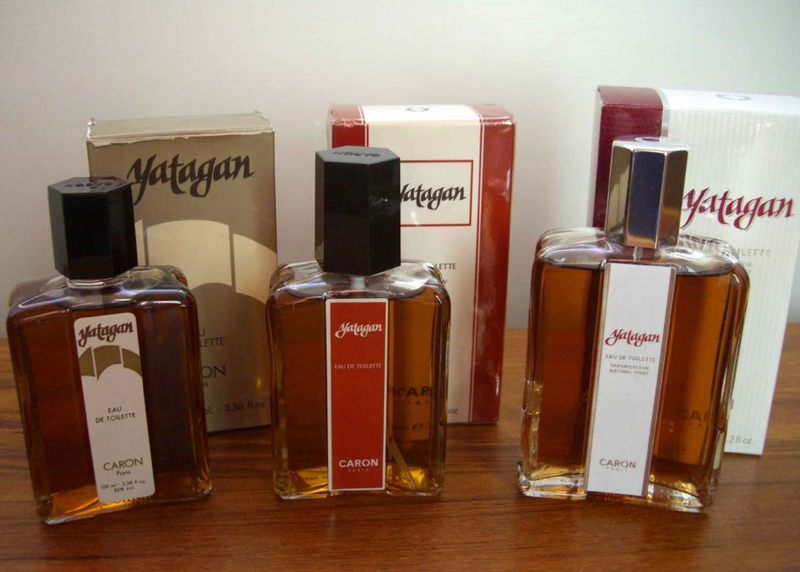 A (really) uncompromising all-time classic and surely one of the most distinctive male fragrance ever created, Yatagan is dirty, sweaty, almost disturbing, but totally addictive. Anytime I smell it or wear it I get drunk as it's sooooo intoxicating (in a very good way). It opens with a sour, urine-like, combo of caraway and sage joined by a considerable dose of astringent artemisia. Woody notes and some coniferous join the party during the middle phase while in the drydown a remarkable retro vibe make its appearance driving the fragrance halfway bewteen a rancid barbershop cologne and a shoe rack filled with old leather shoes and neglected in a dark, wet forest populated by an huge community of beavers.Too many times I wished more of the newest perfumes, smelled original and unique as Yatagan! A masterpiece. Let me spend a few more words talking about the bottle and packaging. A great combination of "naiff" eraly seventies turkish-franco-russian graphic and design. Indiscriminately ugly but hypnotic in their minimalism! 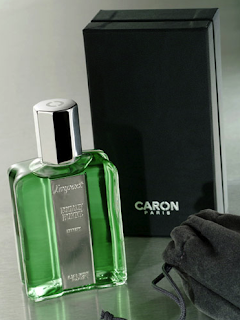 Caron Pour Un Homme doesn't exactly fit my personal idea of a male fragrance but I love it. Usually I'm not into lavender-centered scents but I had to make an exception for this one as it's quite special. The opening is a bit challenging to my nose as it reminds me of an essential oil made by the benedectine nuns in my town. It's overwhelmed by a strong lavender note, but in a few minutes it perfectly blends to vanilla and musk turning the fragrance to be absolutely delightful and very comfortable. Easy to wear, refreshing and close to the skin, Caron Pour Un Homme is an amazing everydays fragrance and a classic by this extraordinary house. Needs to be moderately applied otherwise it may easily turn a bit too harsh during the opening. A great alternative to ignorance and rudeness. 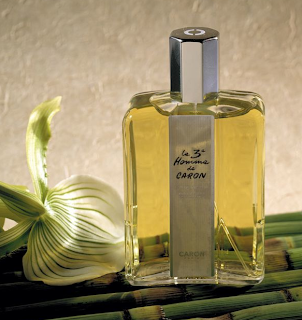 Le Troisieme Homme De Caron together with Insensè are among the best masculine floral compositions around. They both emphasize a cultured masculinity and prefer it to the unbuttoned shirts and furry chests virility. A multi coloured and quite complex fragrance that opens with a classic fresh lavander and bergamot accord to then turn smoky, darker and aromatic with hints of rosemary and fern joined by remakable floral patterns. The drydown it's warmer and sweeter with vanilla and tonka juxtaposed to a remarkable woody presence and animalic-musks. Simply perfect. 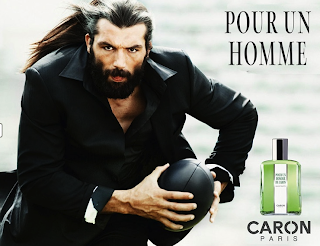 Le Troisieme Homme has a few peculiar aspects that make of it quite a distinctive fragrance that's so hard to be described as all the elements are skillfully orchestrated in an unique blend. A must try. Surely not for everybody but if you're not afraid of showing your strenght through intelligence and mannered kindness, this is for you. Most of the latest reformulations that Caron made on many great perfumes of their past have been a total disappointment. 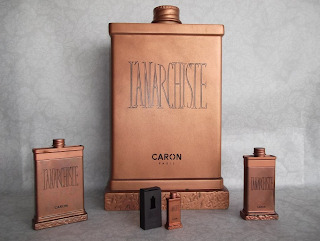 L'Anarchiste was included in the list but it (somehow) survived to the massacre. In fact, despite beeing reformulated, it still mantain some charm. 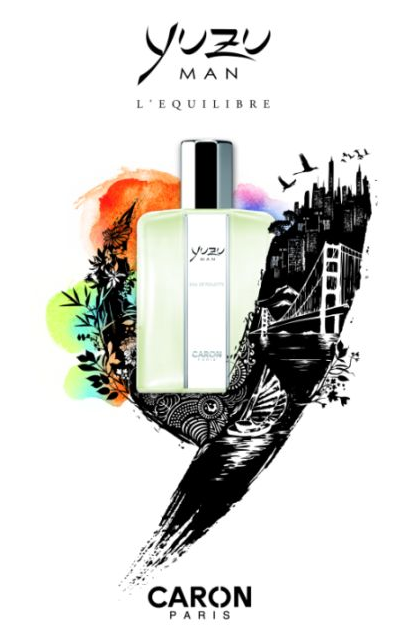 A fresh opening with a spicy (cinnamon) and slightly metallic apple note joined by mint and a little vetiver (clean interpretation) and laying on a solid woody base. A fantastic, multi-faceted everydays scent that fears no seasons. Buy it before they change the amazing bottle design and the juice and then rename it as "Le Conformist Sport". Sort of intense version of Caron Pour Un Homme with less lavender on top and more musk in the base. Not bad at all but I stuck with the original version for its freshness and more distinctive personality. Maybe a bit too powdery in the drydown. That being said, if you're looking for a summer fragrance, give it a chance. This is a wonderful suite of Caron reviews. Thank you, alfarom! You know I love your articles and your style of writing while you underestimate your English. Anyway, I'm crazy about Caron line and I think they're niche in indie skins! By the way, do you know the appellation of Yatagan? It's a Turkish ceremonial sword, not mainly for battle, with reverse arch and inside sharp. This sword is made for the first in a town that named Yatağan after the blacksmith (Yatağan Baba).